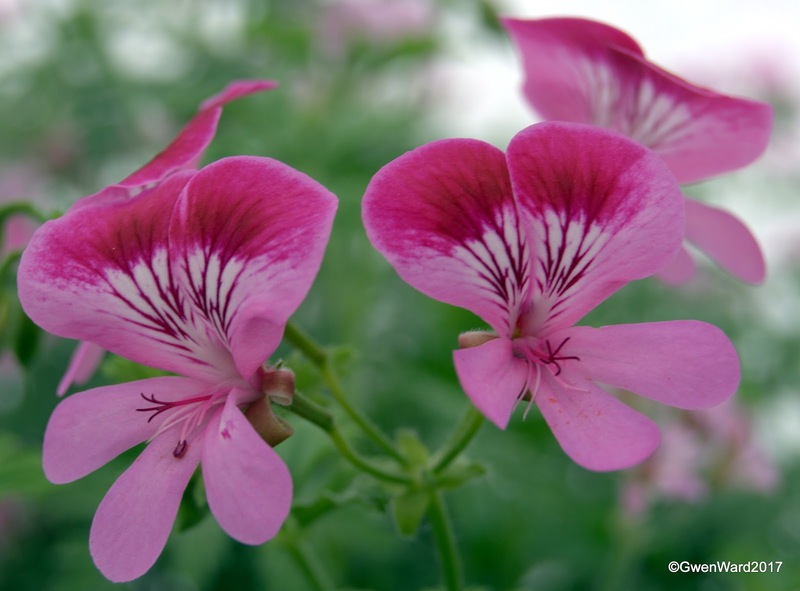 Gemston, Angel Pelargonium. I have no other information other than it was first mentioned in the 1992 Year Book of The British and European Geranium Society. 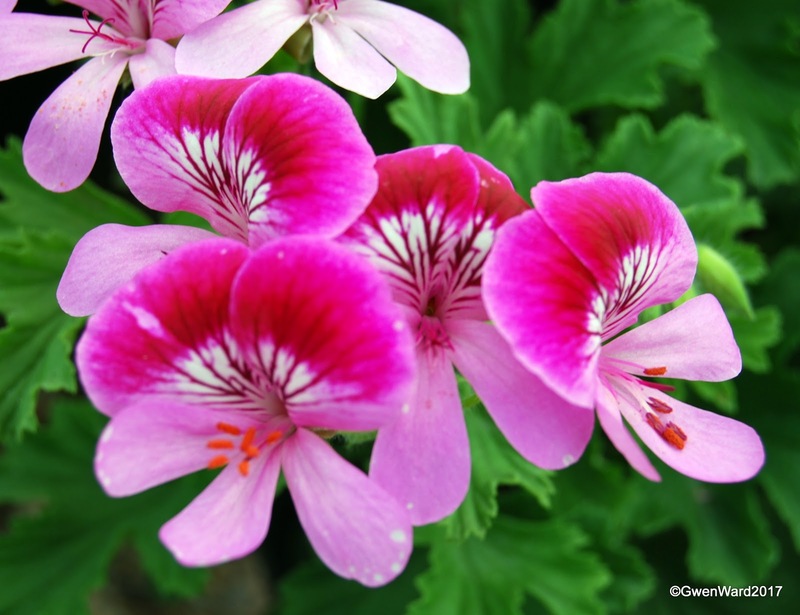 It must also be in the National Collection of Pelargoniums at Fibrex Nursery where this picture was taken. Gemston has magenta pink flowers, top petals slightly darker and with white centre and feathering. As with many of the Angel Pelargonium, the foliage is scented. Steve Pollard gave a talk at the Farnborough Fuchsia & Pelargonium Group that we both belong to – Steve is Chairman of the Society, and also of the Pelargonium & Geranium Society. He told the members what we should be doing with our club cuttings at this time of year to be ready for the Annual Pelargonium Show in June. He also brought along several of his plants that needed cutting back. He did say this should have been done at the end of last summer but, as happens to all of us from time to time, he had not been able to get round to all of his plants. It is not too late to do this job, so luckily for us, he showed us how to take cuttings and many of us came away with cutting material for some new plants. Thank you Steve. Such training is valuable, and seedlings. Geranium flowers are wonderful. Regards.